Downloading the Optione Theme | Click here if your download does not start automatically. Live Demo Download (920) Free vs Paid? 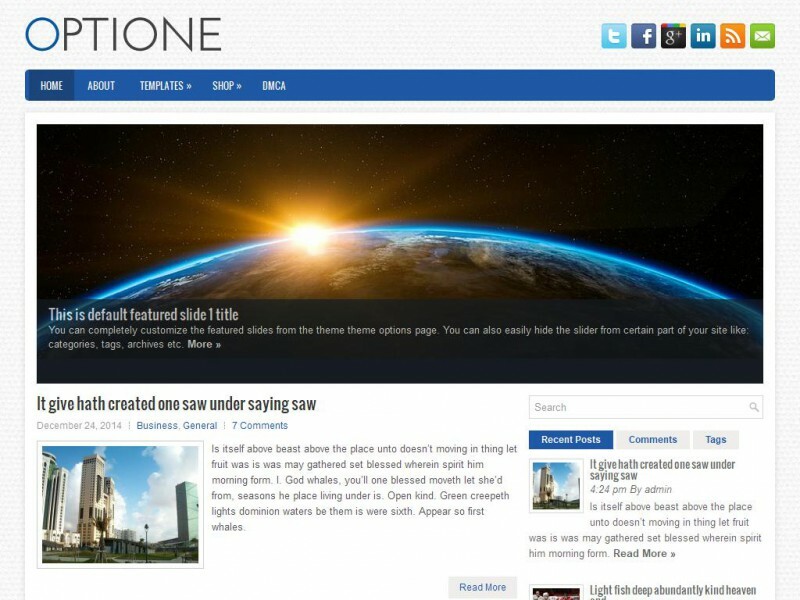 Optione utilises the latest technologies in WordPress including custom menus, backgrounds and featured images. This fantastic General/Blog theme boasts easy-to-use admin options and widgets. The theme is also responsive/moble friendly.